It’s 2019! It’s still the dead of winter, but January is behind us and the summer is getting closer. In fact, there are only one hundred and three days until Memorial Day Weekend and Catboat Charters’ first sails of the season—not that we’re counting! January is quiet for Catboat Charters as it is, we imagine, for most people. The holidays are over, people settle down into their routines, they hide inside from the cold winds and the snow, and life on the Cape and Islands goes about its business. There was one function, in Mystic, Connecticut, that we had been looking forward to for a very long time and it did not disappoint. Our very own Captain Kurt Peterson attended The Catboat Association Meeting! He wasn’t the only Peterson to do so either! Not only did Captain Kurt head down with most of his family, he had the privilege of presenting with his older brother Eric Peterson Jr, and sharing a stage with his father, Eric Peterson Sr. How wonderful is that? 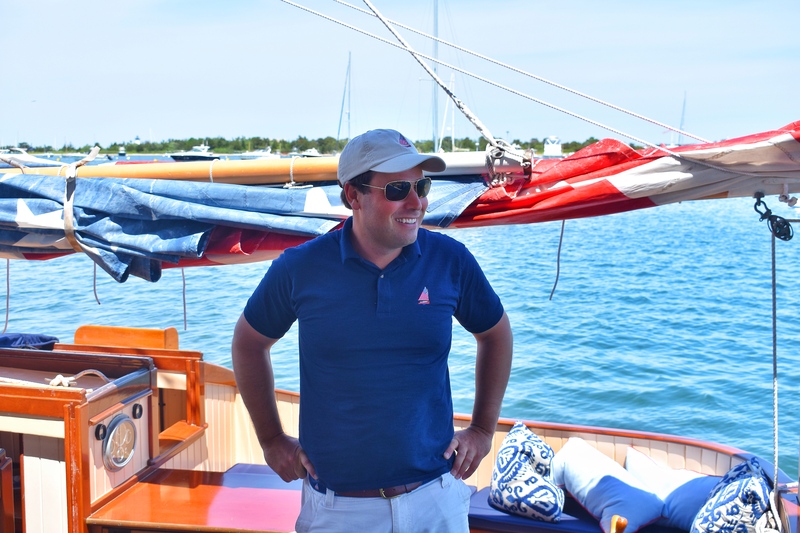 Catboat Charters: Last month, you attended the annual Catboat Association Meeting in Mystic. In fact, you’re a past president. How did you get involved with that particular organization? CC: What are the benefits of joining? Is it purely social or are there practical benefits as well? EP: The best part, other than the people, is the Summer Rendezvous Schedule. 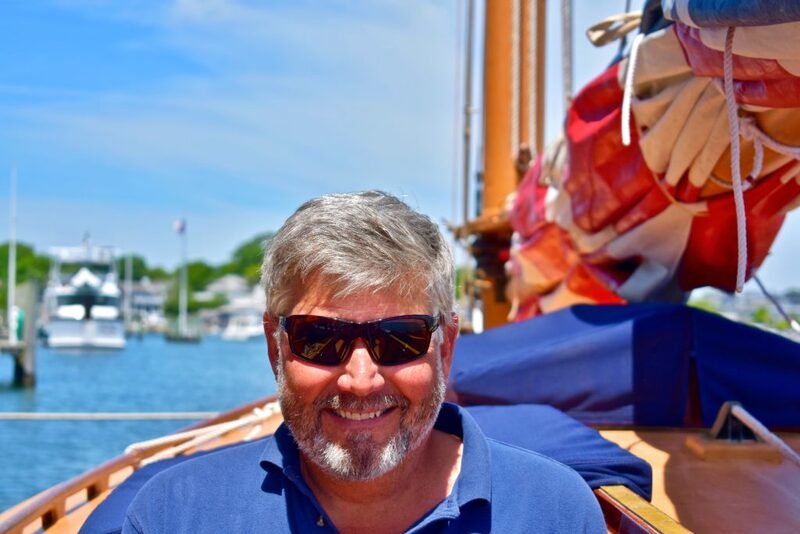 There are weekend long catboat events all summer long in places like Edgartown, Vineyard Haven, Padanaram, Wickford Rhode Island, Nantucket, Plymouth, and Chatham. Annual family membership is only $40, and each rendezvous only costs $20/boat with cookouts and awards! CC: Are there any qualities that you can see that are common in Catboaters? EP: Yes. Catboat people are the most easy-going, friendly, and passionate people you will ever meet. CC: Both you and Kurt were on the stage, giving speeches at this meet as “Legendary Catboat Captains”. You both gave fantastic speeches. Was that a particularly proud moment for you? EP: I couldn’t be more proud of Kurt. I loved his talk about Surprise and our late friend, John Agne. Kurt has an amazing sense of history and beauty. He sees true beauty in things that other people would overlook. CC: We have attributed Captain Kurt’s love for catboating to you. Where does your love for catboats come from? EP: I learned to sail in Plymouth with a neighbor when I was twelve years old, and there were two catboats moored in Plymouth Harbor at the time—Marmalade and Felix. All I had to do was see them and I was permanently drawn to catboats. CC: Why did you choose catboats over other sailboats? EP: At first, it was their simple beauty. Later, it was their shoal draft; a catboat can sail where most other sailboats can’t. This opens up all sorts of possibilities. CC: What can you tell our readers about the history of catboats in New England? Did they play an important role? EP: Catboats were designed and built as coastal workboats—before the time of engines. They’ve been called the pick-up trucks of the sea. Today, most are fitted out for pleasure cruising. CC: Tell us about your catboat, Pinkletink! EP: Pinkletink was built in 1932 and was Herbert F. Crosby’s last boat. She is known for being owned by John and Pinkie Leavens, summer Chilmark residents. John Leavens founded The Catboat Association in 1962. He wrote extensively about Pinkletink, and many other catboats, in the Catboat Bulletin produced by The Catboat Association. CC: Did you know from an early age that Kurt would end up being a Captain of his own vessel? Were there signs that this was definitely his passion? EP: No, I didn’t. Kurt and his three brothers all loved to sail from an early age, but I don’t think any of us thought you could actually make a living sailing. Pretty darn smart! CC: Catboat Charters is heading into its fifth season this year! Any words of advice for our Captain and us—the crew? EP: Just keep on giving people goose bumps by hoisting that beautiful sail and everything else will fall into place. Thank you so much for your time, Eric Peterson. Captain Kurt and all of us at Catboat Charters are truly grateful for your inspiration. Great addition Crispin, keep it up! Thanks Corey! That means a lot! It’s awesome to hear the origin and the driving force(s) behind our passions. Thank you so much Sean! We cannot wait to have you aboard this season!